No Virtual Private Network (VPN) can ever offer every feature everyone is looking for, but Hidemyass.com comes awfully close. 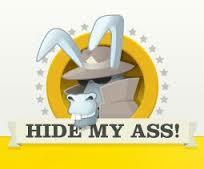 Also known as HMA Pro VPN, Hidemyass has been in operating since 2005. Based inside the United Kingdom, this VPN offers services from all over the globe and offers servers inside 53 countries with more than 38,000 different IP addresses available. You have the capability of connecting to almost every country from anywhere. If you are traveling to Asia, you can get a US IP so you can view websites, like Netflix or a local television network, to watch their programs or movies. If you are in South America, you can connect to the UK server to get a British IP to get services from BBC iPlayer or other websites that are restricted to Great Britain regions. The security features offered by Hidemyass is also impressive. 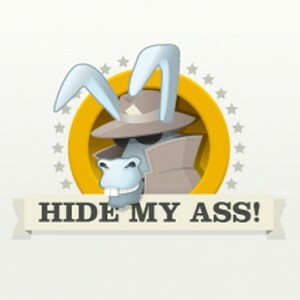 Our Hidemyass review has looked at every feature this VPN provider offers and graded them on quality. Our readers can see what we have found and how this service compares to others. Most users want to look at what our Hidemyass review found in the way of features. These are some of the features from Hidemyass, but this VPN offers many other services. One item that must be mentioned is the stability of the service. Rarely did we have a problem during our Hidemyass review with our system being disconnected from this VPN service. Its reliability was the best in the industry. Unlike a lot of the VPN services, our Hidemyass review found that there was no limited bandwidth size. Once you choose and pay your subscription, you get one of the fastest connection speeds. Some VPN services charge based on the size of bandwidth you want to use, but Hidemyass offers as much as they can give you. Our speed test found that during downloads Hidemyass provided an average of 20Mbps and upload speeds at an average of 1.5Mbps when using a US server. Since the average speeds of ISP services is 15Mbps downloading and 1.25Mbps uploading, Hidemyass came is a lot better than this. However, when you tested the connection speed from European servers, we found that the download speed was 10Mbps and upload speed 1Mbps. However, we did find that if your connection speed is slow from one server, then you can easily switch to another server in the same country and speed up your connection. During the Hidemyass review, we found that this service has the simplest pricing methods. It only has three and does not place any limits on the features you get with each plan. This service also offers special pricing packages during the holiday season, so keep an eye on any discounts you can get during these times of the year. You can save as much as 24 percent when joining during these discounted periods. The Hidemyass review found that this VPN connects to several different operating systems. You can easily download the software to your operating system and start using the service immediately. Currently, Hidemyass is developing software that can be used with Linux, but it is not in operation. However, you can use the Alpha version if you contact their support team. Windows, Mac, Android, Apple mobile and routers can all be used to connect to this service. One aspect of this VPN we found during our Hidemyass review was the ability to randomly change your server location and IP address. You can switch to any location this VPN has servers or just change your IP in the same country. You can also choose to have your IP address changed every 10 minutes automatically to ensure your anonymity at all times. Our Hidemyass review found that this provider offered multiple security protocols. You can use PPTP, OpenVPN or L2TP when you connect to this service and Hidemyass does not charge any additional charge. This is important when you use this VPN in a country that has strict censorship firewalls. You can switch your protocol if you need to and this service will support all the major browsers, including Firefox, Internet Explorer and Google Chrome. Most VPN review sites are happy to provide their readers with a look at each provider it reviews, but hardly ever tells you what the pros and cons of that service are currently experiencing. Our Hidemyass review found several things that our readers have suggested we provide. The cons are not something to worry about, unless you do not want the government to know what you are doing. Hidemyass will turn over your information to the authorities with the proper legal documents, such as a subpoena and let the authorities know every server you have used and who your really are. While we have looked at a lot of VPN providers, our Hidemyass review found this to have the best coverage around the globe. It offers more servers, country locations and IP addresses than any other service we researched. If you are wanting a service that protects your anonymity the best, then Hidemyass is the best service for you. However, businesses may want to look for another VPN that offers fixed IPs. You may even want a more secure connection, since this VPN only offers 128-bit encrypted security, several of our other top 10 VPN services use 256-bit encrypted security. We do rank this VPN at the top of our list and we highly recommend this provider because of everything you can do with it. Not only can you continually switch your server location and IP addresses, you will have more protection than you will ever find with a local ISP.